This Woodlore Badge is beautifully embroidered with the traditional company logo which also appears on our popular Woodlore T-Shirts. It's a lovely keepsake for students past and present of Woodlore's outdoor courses. This exclusive badge would also make a perfect gift for any and all Woodloreans that you know. Woodlore Badge is rated 5/5 based on 29 customer reviews. If you wish to support the brand, and the way of life, then fly the flag! Now permanently bonded to my outer layer. No black and orange here. I got this for a friend and I here in the USA. You can't go wrong with it!!! Just a nice patch to go on a camp blanket or similar item. Top quality, I love the item and will probably order another. 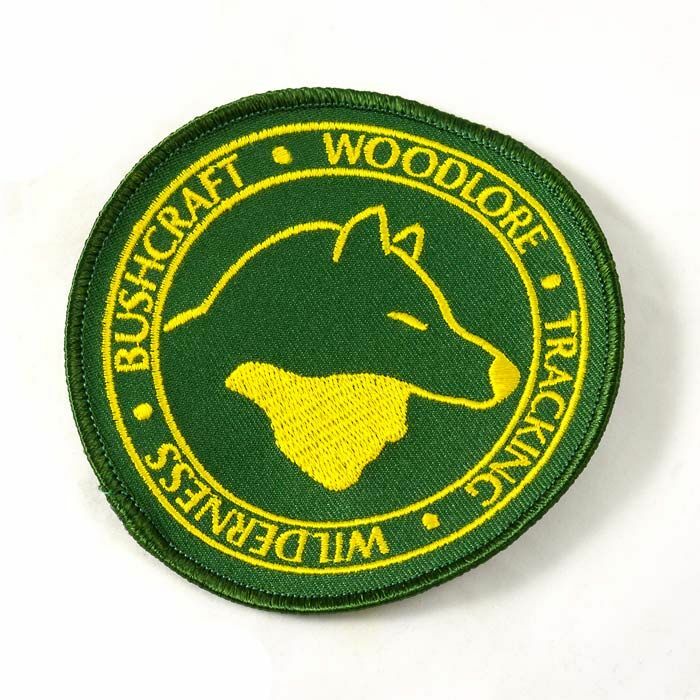 Great well made patch and great service from Woodlore. Thanks. I've been addicted to nature since I was a little boy, but it was always hard to get books or even personal advice on the subject we like to call bushcraft. That all changed in the early nineties with The Survival Handbook and the Tracks series. Yep, both by a man called Ray Mears. Ever since he has been the person who made bushcraft understandable for me and fueled my love for the wild world near and far. I'm wearing this badge to show my appreciation for his life's work. May it be much longer so that he can find the answers to his (and our) questions. Thank you Ray! Great quality product! Looks great sewn on my rucksack! I'm proud to have one of these! Lovely badge and a great addition to my collection. 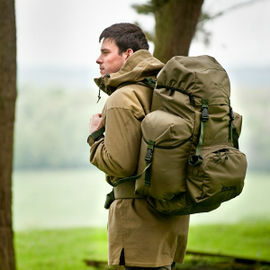 It is well made and a fitting article for the quality that Ray Mears and Woodlore stand for. Well made, just need something to put it on. Will have to buy something else from Woodlore.